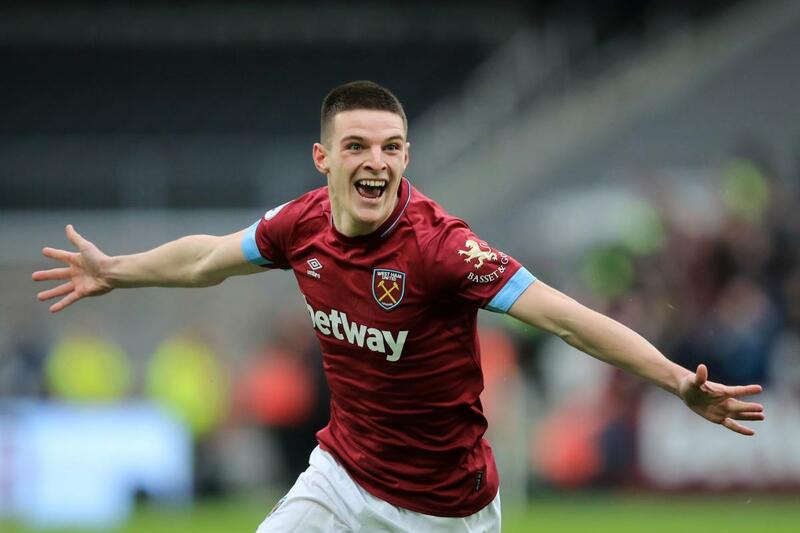 Tottenham Hotspur have reportedly expressed an interest in making a £35m swoop for West Ham United midfielder Declan Rice, according to The Express. The 20-year-old midfielder’s future was the subject of speculation in the latter stages of 2018, but the youngster ultimately signed a new long-term contract with the Hammers, which will keep him at the London Stadium until 2024. The Republic of Ireland international has been in impressive form for the east London outfit this term, netting once in 22 Premier League appearances. Spurs were heavily linked with a move for the youngster before he signed a new long-term contract and the report claims, Mauricio Pochettino’s side will make a £35million offer ahead of the summer transfer window. Rice, who started his youth career with Chelsea – has also attracted interest from Liverpool in the past.